However, as busy as I’ve been, I’ve still had time to whip up some delicious meals in the kitchen! You probably know by now how much I love breakfast, and how important it is for me to eat a filling breakfast so I’m not raiding my snack drawer by 10:30 AM. So this week, since it’s been really warm (yay for summer coming! 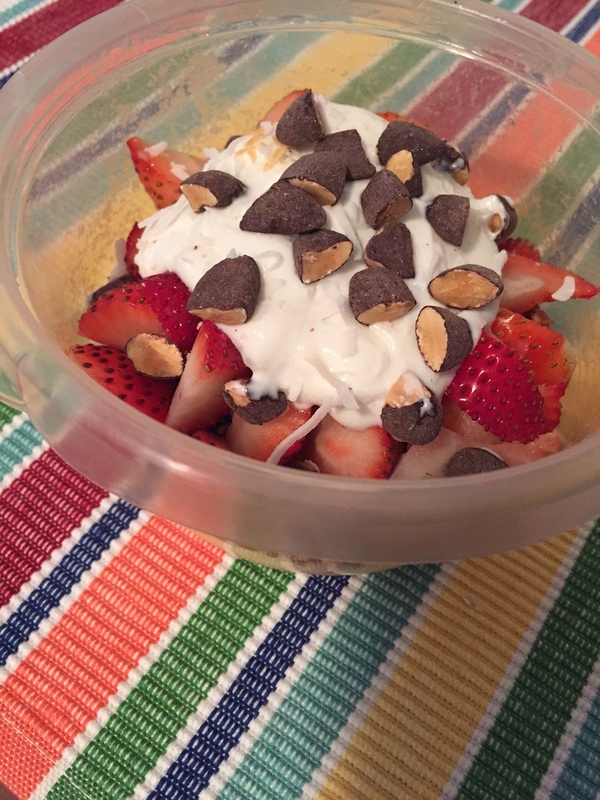 ), I decided to make a yogurt parfait for breakfast. 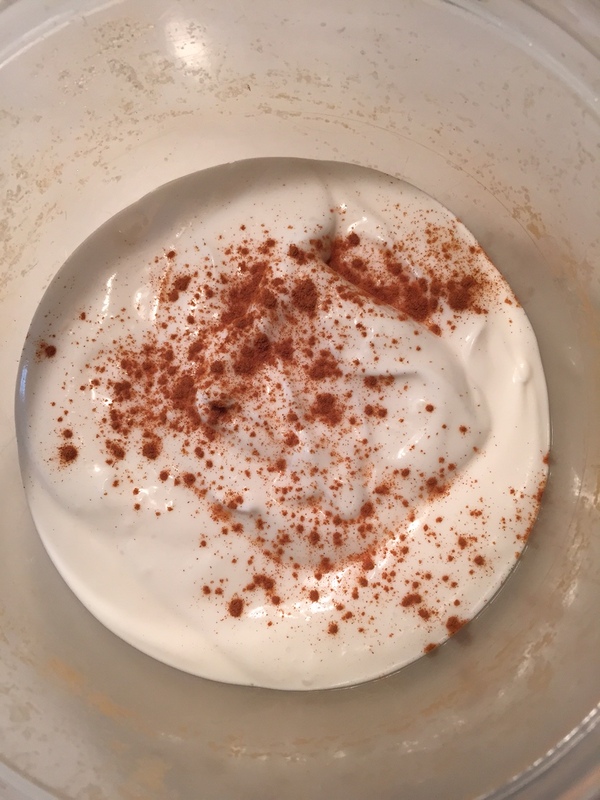 Simple, refreshing, yet filling enough to get me to noon without my stomach grumbling. This actually ended up being so filling that I ate it in two servings; half for breakfast and half for an evening snack. 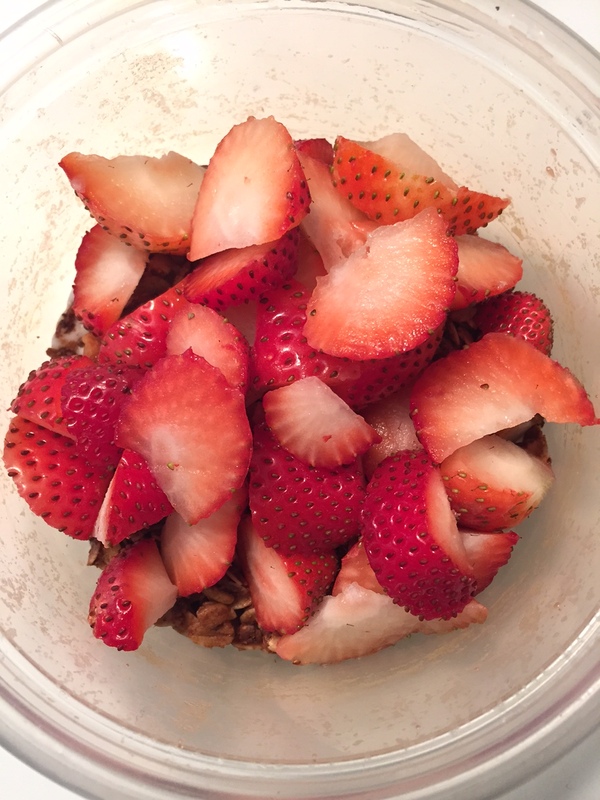 I like my parfaits to be crunchy, so I wait and put the granola and nuts on right before eating so it doesn’t get soft. 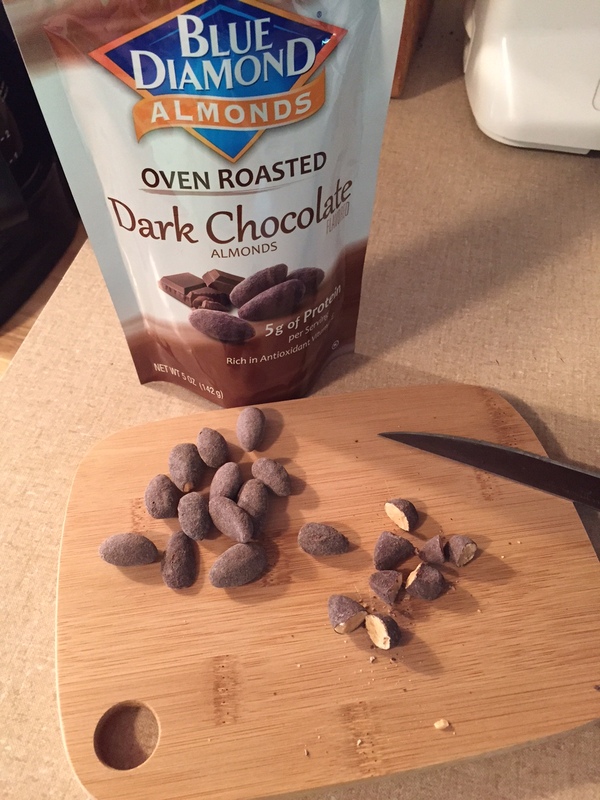 The Blue Diamond Dark Chocolate Almonds add the perfect crunch; they also add a nice chocolate flavor without all the extra sugar and calories of chocolate chips. 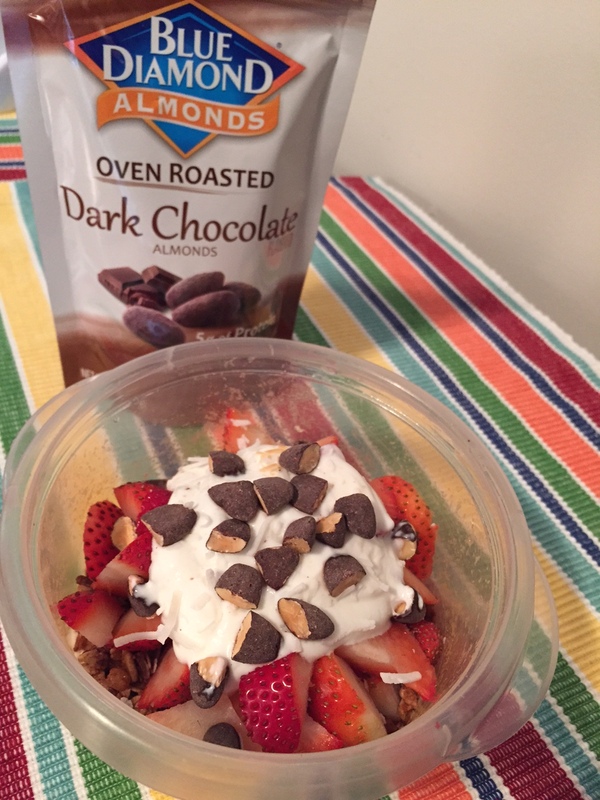 I hope you enjoy this as much as I did – perfect for a warm summer day! 1.) 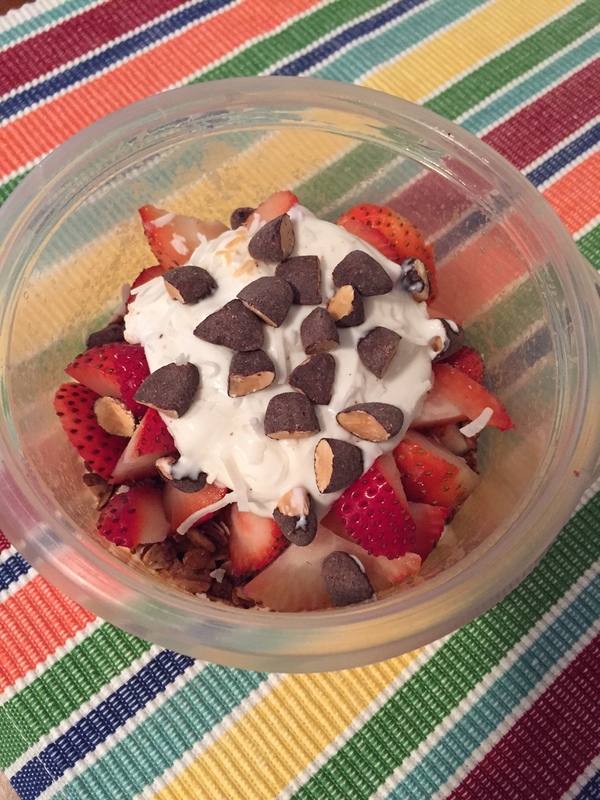 In two small bowls or Tupperwares, layer the yogurt, cinnamon, granola, and strawberries. 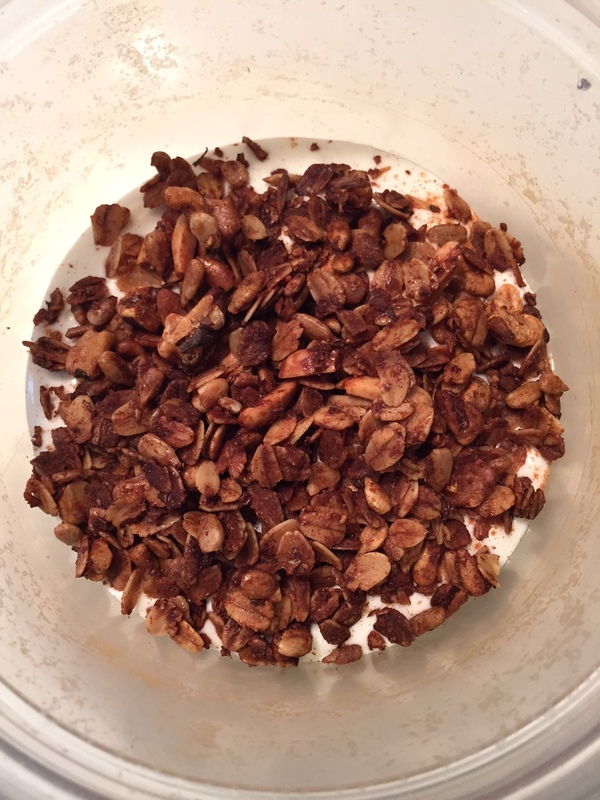 Top with a little more yogurt, coconut, and chopped almonds. Enjoy!